As a Regulator, seventeen-year-old Katherine Holliday’s duty is to protect the people of the Federation from a group of violent rebels who have exiled themselves to the mysterious wilderness. When one of these rebels is captured within the Federation, the government leaders propose an alternative to execution, a procedure they call Reintegration. The procedure involves erasing the rebel’s memory and attempting to make him a member of society. The rebel, a young man named Matthew, is not the violent criminal Katherine expects, and she can’t help but befriend him. A few weeks after Matthew’s Reintegration, Katherine realizes the procedure failed and she is now presented with a choice no one else can help her make. Can she warn her superiors that Reintegration failed, which could mean death for Matthew? Or will she defy everything she knows to help him escape—and risk her own execution? And now, without further ado, the cover! When Ashley Bogner was in third grade, she decided she would be a published author when she grew up. Ashley is a homeschool graduate and has lived in seven different states. She completed a year of Bible college and in the fall will begin pursuing a degree in Communication Studies. After college, her plan is to work in the Christian publishing industry. When not writing, she can be found baking, posting book reviews on her blog, and watching her favorite movies over and over to the point of memorization. See her blog here. Thanks so much, everyone! All of you are absolutely amazing! I just want to give everyone a hug!!! *virtual group hug* But since that’s the best I can do, here’s a shoutout for everyone who participated! Erinkenobi2893 posted a character interview with Pam! 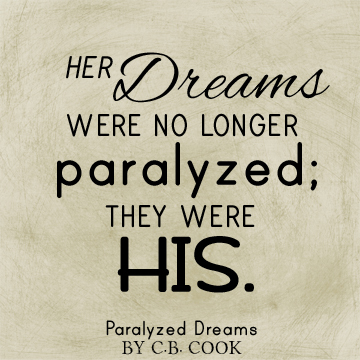 Two excerpts from Paralyzed Dreams were posted, one on Lights and Shadows and the other on aspiringwriter22! So many amazing book reviews! Thank you all! Check them out on A Glimpse of Starlight, Sarah Plain & Average, Kathy’s Cottage Books, and Writefury. Ness Kingsley at of words and books hosted me for an author interview! And, finally, on my sister’s amazing blog, Mandie’s World, I revealed who I based Jeremy off of, along with showing off some of his encouraging quotes from the book! You all were so awesome! I’ve been absolutely overwhelmed by all of your encouragement and support! 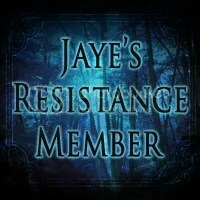 Go check out their posts, both for the book tour and their other ones, and follow them! I’m pretty sure you’ll find something you like. The second part of Ditched. Click for Part One. Let me know what you think! The sounds of bouncing basketballs and shoes squeaking on the court caused Crystal to lift her head. She stared dully at the players as they warmed up. She didn’t really have any interest in the game now, but she couldn’t help hoping that Valerie would come back to sit with her. She glanced around the bleachers and saw Valerie sitting a couple of rows down from her and two rows to the left. She was all by herself, but she had her headphones in and was absorbed with the movie on her phone. As the start of the game neared and the stands started to fill up, Crystal glanced more and more frequently at Valerie. Everyone stood for the national anthem, and Crystal forced herself to stop looking at Valerie and to turn to the flag. Even so, she couldn’t help wondering if Valerie was looking at her. More people filed in after the anthem. Crystal soon realized that Valerie probably wasn’t coming back. Many of Valerie’s other friends had found her, and they were chattering away. Crystal stared down at the basketball court, not seeing the game, just thinking. “Is this seat taken?” a male voice asked from right next to her. She looked up at him vaguely and shook her head. She turned back to the court, still unseeing, although she felt him sit down in the seat that was formerly Valerie’s. She was unconscious of the boy sitting there, watching her as the people around them leapt to their feet, cheering wildly. “You’re not really paying attention to the game, are you?” the boy asked, breaking into her thoughts. She looked away from the court, and, for the first time, noticed his red hair and sparkling green eyes. He smiled gently. “What’s wrong?” he asked. Crystal started her story hesitatingly, but she soon found herself pouring out the entire story. After she finished, she studied him. A look of compassion and indignation filled his eyes. Crystal sighed, brushing her bangs out of her eyes. “Yeah, I know, but I don’t really have any friends. She was one of the few people who actually hung out with me,” she admitted. “You deserve better,” the boy said, looking at her seriously. Crystal gawked at him, lost for words. “Wh-what?” she finally stammered. She looked at him curiously. “You’re really passionate about it, aren’t you?” she asked. Weeks passed. Crystal hung out with Zach a lot, and even started going to his church with him, not just on Sundays, but on Wednesday nights, too. They didn’t go to the same school, but they often met up at games and hung out on the weekends. Crystal often saw Valerie in the halls at school, but her old friend completely ignored her. Crystal slammed her locker shut at school one Wednesday and glanced over at Valerie’s locker. Zach had suggested that she invite Valerie to church with them that night, but she was nervous. She took a deep breath and headed over to her old friend’s locker. Valerie was rummaging in her locker and didn’t see Crystal approach. Crystal waited awkwardly next to Valerie’s locker. Finally, she cleared her throat. Valerie pulled her head out of her locker and looked at Crystal. When she saw who it was, she turned to go back to her task. Crystal grabbed her friend’s arm before she could start ignoring her again. “Please, Val,” she begged. Valerie rolled her eyes. “Is that all?” she demanded, attempting to extract her arm from Crystal’s grip. “Why not?” Valerie repeated, sneering. “Because church is stupid, all that Jesus stuff is stupid, and you’re stupid.” She yanked her arm out of Crystal’s grasp and stomped away. Crystal choked back tears as she turned back to her locker and gathered her books in her arms. As she went to class, she silently prayed, asking God to change Valerie’s heart. And she made a decision. She wouldn’t stop asking.